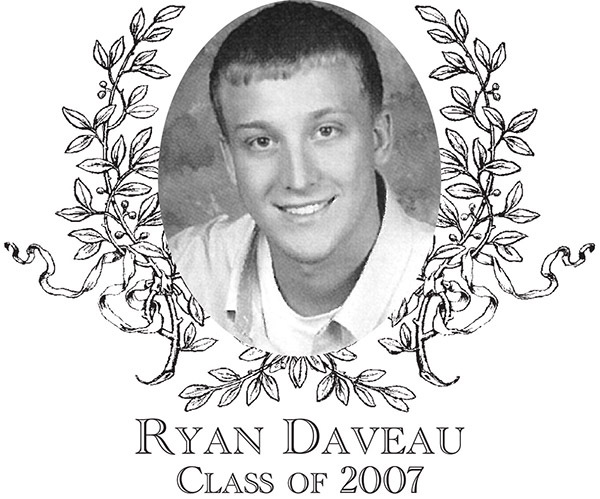 Ryan Daveau, Class of 2007, was a three-sport athlete playing golf, basketball, and baseball. Ryan was a four-year starter for the varsity baseball team and Captain his senior year. The talented Daveau led the Indians to District Championships his junior and senior years. As a freshmen, the switch-hitter started at first base. He would later move across the diamond to third base his sophomore through senior years. Ryan was a versatile player who was called on to take the mound on many occasions as well as play several outfield positions. Ryan was known for his outstanding defensive skills and switch-hitting abilities, but it was his ability to come through in clutch situations with timely hitting that he will be remembered for the most. In a career filled with numerous game winning hits, perhaps the most memorable one took place in the District semifinal game in his senior year. With the Indians trailing in the top of the seventh and runs coming at a premium, Ryan was at the plate and trailed in the count 1-2 with runners standing on second and third. With the next pitch, Ryan sent a line drive to the opposite field, scoring both runners to give Bartlett the lead and ultimately defending their District Championship for a second straight year; a moment for the history books! In basketball, Ryan was a four-year starter for the up-tempo "Runnin' & Gunnin'" Indians, and Captain his senior year. As a freshmen and sophomore, Ryan started at shooting guard, but moved to forward his junior and senior years. The position change proved to be invaluable as the Indians went on to capture the Clark Tournament Championship his junior year and won District and South Worcester County League Championships his senior year. Ryan was named a South Worcester County League All-Star in his sophomore year. Ryan also played golf for Bartlett his senior year. Ryan attended Quinsigamond Community College where he continued his baseball career. He is also the junior varsity and assistant varsity baseball coach at St. Peter Marian High School and hitting coach at Worcester Polytechnic Institute. Ryan and his fiance Miranda Leavitt live in Charlton with their son Landon and daughter Ella. He is employed with former Red Sox player and Coach Ed Riley at RBI Baseball Instruction in Worcester as Director of RBI facilities.